The Ken Auto Roadster shop is based in Sendai, Japan and run by roadster enthusiast Kenichi Obara. The shop specialises in original custom parts for the Roadster and MX-5. The range includes everything from custom performance camshafts, adjustable suspension, bracing, brakes, cleaning products, and a variety of smaller accessories. 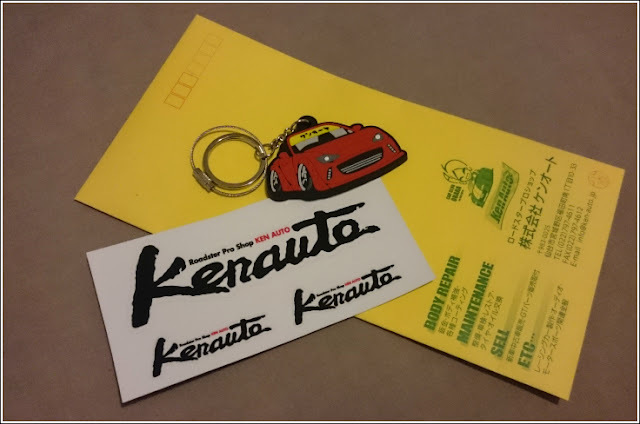 Ken Auto also sell used cars and carry out Roadster restoration and tune up work for each generation. They're a regular at trackday events and race meetings across Japan where they test and develop new products for Roadster enthusiasts. Their original merchandise has some pretty cool stuff. The little rubber Roadster keyrings range was recently expanded with a new ND design, bringing the total to five. 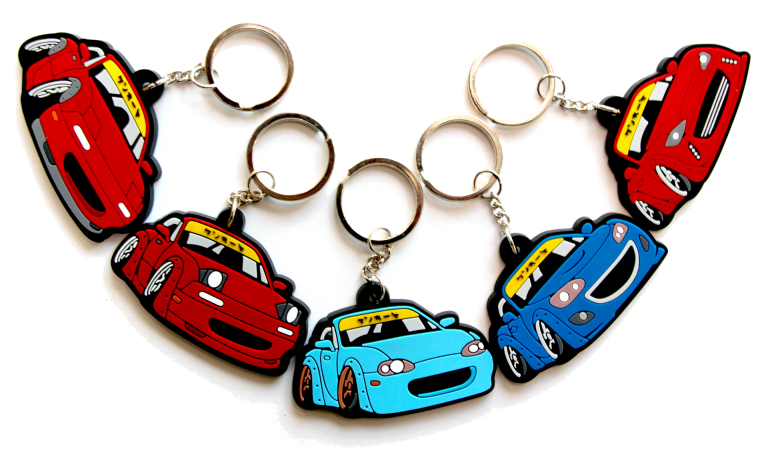 Each keyring is about 2 inches wide and features a modified Roadster with a wide bodykit and big wheels. The NA is available in two designs with headlights up or down. 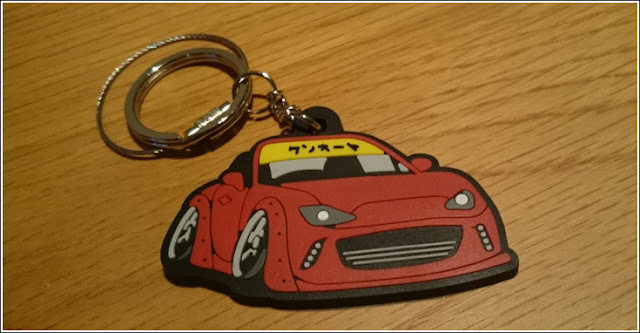 My new ND keyring took 4 days to arrive from Japan. The video below demonstrates some of Ken Auto's latest water repellant car cleaning products. The Winning Blue NC demo car features a Garage Vary bodykit amongst many other modifications.